Most foreign musicians are always referred and held in high esteem, due to perhaps the quality of song they churn out. Whatever the genre of music they produce, one is almost certain it will be a hit. However, some of these musicians who once held their countries and the world in general spellbound with their fantastic lyrics and vocals are no longer trending as checks have shown. Despite the fact that nothing last forever and there must come a time that one will certainly ebb away, the musical journeys of these stars fizzled out before or at the start of their peak. THE WHISTLER chronicles five popular foreign musicians who are no longer trending. Mark Althavan Andrews (born November 9, 1978), better known by his stage name SisQó, is an American R&B singer, songwriter, record producer, dancer and actor. He is the lead singer of R&B group Dru Hill, and has also released solo materials. Sisqo’s successful debut solo album, Unleash the Dragon (1999), included the hit singles “Thong Song” and “Incomplete”. After SisQo left Dru Hill in 1999 to pursue a solo career, it was decided that the other members would follow suit and issue their own solo albums. SisQós solo debut, Unleash the Dragon, was released on Def Soul Records in November 1999. Unleash the Dragon sold moderately at first, until the February 2000 release of its second single, the novelty “Thong Song”. A runaway hit, “Thong Song” and its follow-up, “Incomplete”, were major hits on the Billboard Hot 100 chart, with “Thong Song” making it to number three, and “Incomplete” going to #1. This success resulted in Play Along Toys manufacturing a SisQó a Celebrity doll in 2001. Formed by SisQó in 1999, LovHer was the first female quartet on the Def Soul label. Their single “How It’s Gonna Be” was featured on the Rush Hour 2 soundtrack in 2001. In 2010, SisQó was a contestant on the British reality television show Celebrity Big Brother 2010. He was the fifth contestant to be evicted, lasting 20 days. Dru Hill released its third album, InDRUpendence Day, in 2010 as an independent release through Kedar Entertainment. The group also appeared at this time in the reality show Keith Sweat’s Platinum House on BET’s sister station Centric. 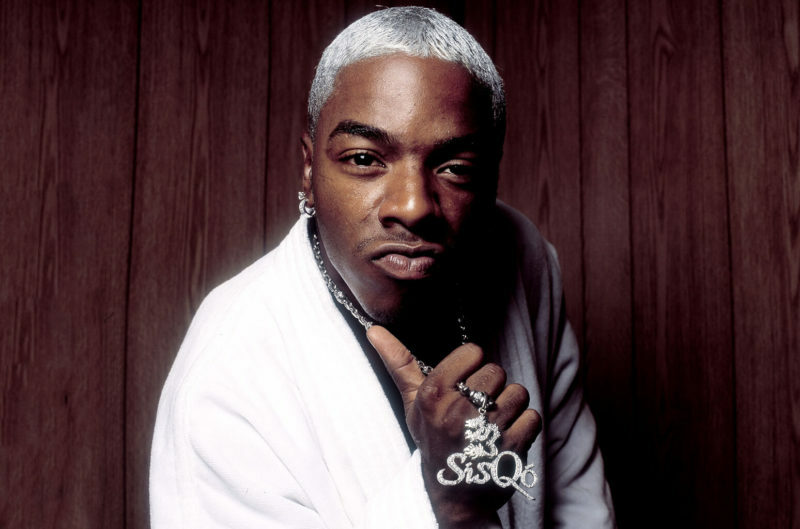 In July 2013, SisQó appeared on the reality show Celebrity Wife Swap, where his girlfriend was “swapped” with the wife of 1990s pop singer Gerardo Mejía. SisQó continued to tour through the 2010s, both as a member of Dru Hill, and as a solo act. His third solo album, Last Dragon, was released on February 10, 2015. The singles, “A-List” and “L.I.P.s” were released ahead of the album, with the latter reaching number 23 on the US Adult R&B charts, becoming SisQó’s first charting US single since 2001’s “Can I Live”. As of 2015, SisQó, along with the other members of Dru Hill, claimed that their record label botched a record deal, costing them millions in the process. In 2016, SisQó provided a rap counterpoint in a duet with country music singer Marie Osmond, in her song “Give me a Good Song”, which was featured on Music Is Medicine, released on April 15, 2016. In 2017, SisQó, sang on a remake of his “Thong Song” produced by JCY. In 2018, SisQo released a holiday book for children, titled “SisQo’s Perfect Christmas”, with creative partner, Tilesha Brown. Despite the efforts of the singer to relaunch himself on the musical stage, he still cannot make any significant effort to win hearts of music lovers across the globe. Craig Ashley David (born 5 May 1981) is an English singer, songwriter, rapper and record producer who rose to fame in 1999, featuring on the single “Re-Rewind” by Artful Dodger. David’s debut studio album, Born to Do It, was released in 2000, after which he has released a further five studio albums and worked with a variety of artists such as: Tinchy Stryder, Big Narstie, Kano and Jay Sean. David has 20 UK Top 40 singles, and seven UK Top 40 albums, selling over 15,000,000 records worldwide as a solo artist. David has been nominated for fourteen Brit Awards: five times for Best British Male, and twice received a Grammy Award nomination for Best Male Pop Vocal Performance. David is remarkable for his smash hits: “walking away”, “Seven Days” which was a delight for music lovers’ world over. He has a total of seven albums to his credit Born to Do It(2000), Slicker Than Your Average(2002), The Story Goes…(2005) Trust Me(2007), Signed Sealed Delivered(2010), Following My Intuition(2016), The Time Is Now(2018). After several efforts to take over the music scene through his recent albums Following My Intuition (2016) and The Time Is Now (2018), the singer is yet to gain the ovation and reception currently enjoyed by some of his foreign colleagues. Ashanti Shequoiya Douglas (born October 13, 1980) is an American singer, songwriter, recording artist, dancer, and actress. She was first discovered as a teenager and later signed to Murder Inc. Records in 2001. That year, she was featured on Fat Joe’s “What’s Luv” and Ja Rule’s “Always on Time”, both of which became two of the biggest hit songs of 2002; Ashanti became the first female artist to occupy the top two positions on the U.S. Billboard Hot 100 chart simultaneously when “Foolish” and “What’s Luv?” were at numbers one and two, respectively. In 2002, Ashanti released her eponymous debut album, which sold over 505,000 copies throughout the U.S. in its first week of release. The album earned her many awards, including eight Billboard Music Awards, two American Music Awards, and a Grammy Award in 2003 for Best Contemporary R&B Album. The album has since been certified triple platinum in the United States and sold six million copies worldwide. The lead single for the album, “Foolish”, was a critical and commercial success; it reached number one on the Billboard Hot 100. With “Foolish”, she became the second artist (after The Beatles) to have their first three chart entries in the top ten of the Billboard Hot 100 simultaneously. Ashanti wrote and sang for Jennifer Lopez’s “Ain’t It Funny” (Murder Remix), which also reached number one on the Billboard Hot 100. In 2003, Ashanti released her second album, Chapter 11, which debuted at number one on the Billboard 200, with first-week sales of 326,000 copies in the U.S. The album went platinum, selling over 1.5 million copies in U.S. since its release. The album’s singles, “Rock wit U(Awww Baby) and “Rain On Me”, were both commercial successes, peaking at number two and number seven on the Billboard Hot 100 chart, respectively. Chapter II was nominated for a Grammy Award for Best Contemporary R&B Album, and “Rock wit U (Awww Baby)” and “Rain on Me” were each nominated in the categories of Best R&B Song and Best Female R&B Vocal Performance. In November 2003, Ashanti released a Christmas album titled Ashanti’s Christmas, which was a modest commercial success. In 2004, Ashanti released her third studio album, Concrete Rose, the title of which took on Tupac Shakur’s pseudonym “The Rose That Grew from Concrete”. The album debuted at number seven in the U.S., with first-week sales of 254,000 copies, and eventually became her third platinum certified album. The first single, “Only U”, reached number thirteen on the Billboard Hot 100 and became her biggest hit in the United Kingdom, peaking at number two. A second single, the ballad “Don’t Let Them”, garnered little chart success after Def Jam refused to fund a music video due to Irv Gotti’s legal troubles during his money laundering trail. Her subsequent albums, including The Declaration (2008) and Braveheart (2014), the latter of which was released independently, were less successful. Throughout her career, Ashanti has sold over 15 million records worldwide. Aside from music, Ashanti has also acted in various productions. In 2005, she made her feature film debut in Coach Carter alongside Samuel L. Jackson, as well as starring as Dorothy Gale in the made-for-television film The Muppets’Wizard of Oz, which pulled in nearly 8 million viewers when it premiered. She has since appeared in the films John Tucker Must Die (2006) and Resident Evil: Extinction (2007). Despite these heights attained by Ashanti in the American and global music stage, not much is heard of her or her music anymore. She has not been able to get a trending status like her fellow colleagues- Rihanna and Nickky Minaj. Her time to many music lovers, has elapsed. Jeffrey Bruce Atkins (born February 29, 1976), better known by his stage name Ja Rule, is an American rapper, singer, songwriter, and actor from Queens, New York. Born in Hollis, Queens, he debuted in 1999 with Venni Vetti Vecci and its single “Holla Holla”. From 1999 to 2005, Ja Rule had multiple hits that made the top 20 of the U.S. Billboard Hot 100 chart, including “Between Me and You” with Christina Milian, “I’m Real (Murder Remix)” and “Ain’t It Funny” with Jennifer Lopez, which both topped the US Billboard Hot 100, the Grammy-nominated hit “Always on Time” with Ashanti, “Mesmerize” with Ashanti, and “Wonderful” with R. Kelly and Ashanti. During the 2000s, Ja Rule was signed to Murder Inc. Records, formerly known as The Inc. Records and led by Irv Gotti. Due to his hits with his collaborators, Ja Rule has earned four Grammy nominations, and has had six top-ten albums, two of which, Rule 3:36 (2000) and Pain Is Love (2001), topped the US Billboard 200. He has 8 albums to his credit Venni Vetti Vecci (1999), Rule 3:36 (2000), Pain Is Love (2001), The Last Temptation (2002), Blood in My Eye (2003), R.U.L.E (2004), Pain Is Love 2 (2012), Coup de Grace (TBA). Brick & Lace are a Jamaican dancehall/R&B musical duo consisting of sisters Nyanda and Nailah Thorbourne. According to Billboard, their name reflects the tough and the soft sides of femininity. Signed to the Geffen label, Brick & Lace originally consisted of three performing sisters Tasha, Nailah, and Nyanda. Tasha left the stage to work behind the scenes and co-write songs for the group. Their first Geffen Records’ single “Get That Clear” and their first album Love Is Wicked were both released in 2006. Brick and Lace were signed by hip hop singer-songwriter Akon to his record label, Konvict Music. They were born to a Jamaican father and an African American mother. The duo has toured internationally, including Malawi, Kenya, Nigeria, Uganda, Senegal, Tanzania, Zambia and Zimbabwe. Their debut album, Love Is Wicked, had a limited release in various countries on 4 September 2007]. The album spawned four singles, “Get That Clear (Hold Up)”, “Never, Never”, “Love Is Wicked” and “Take Me Back”. “Love Is Wicked” was listed on six different charts, including the Sverigetopplistan, the Sweden Singles Top 60 and the France’d SNEP Singles Top 100. It reached number 6 on the Finland. Its highest entry was number 9 in the France Singles Top 100. “Never, Never” was a hit in Finland, performing also well in Kenya, where it reached No. 14 in 2008. Brick & Lace performed in Gwen Stefani’s The Sweet Escape Tour on 24 May 2007, in Camden, New Jersey, filling in for Lady Sovereign, who failed to attend. In 2008, the after-effects of their first album hit and the sisters went busily on many tours for the year, most notably in Europe and Africa by popular demand, and also produced a few new songs such as “Cry on Me” and “Bad to di Bone”. In the year 2009, Brick and Lace released their single called “Bad to di Bone” which became a well-known track in European and African countries. A French collaboration was even presented hence popularity. This new single was intentionally pinned out to appear on a new upcoming album, but instead was re-based on “Love is Wicked”, which was re-released for a second shot at fame and success. In July 2009, the duo penned another hit track called “Room Service”, a summer hit released from the new Love is Wicked album. Starting off the year 2010 with releasing four new songs in March, the Brick and Lace Summer 2010 European Tour was soon announced straight after. An upcoming second single and music video to promote their second album was said to be imminently soon when the girls were interviewed in December 2009. They released “Bang Bang”, “Ring The Alarm”, and “Shackles” as buzz singles for their upcoming album and withdrew “Club It Up” from internet markets for future plans. Finally settled with the release of their debut album, with two international platinum singles: “Love Is Wicked” and “Bad To Di Bone”, the sisters started the last of the Love Is Wicked International Tour era by producing a final tour for the African, European and Asian fans globally. Soon after May 2010, they revealed to African press that Nyanda was pregnant and was expecting a baby soon. The group seem to have gone into oblivion since the release of the smash hit, “love is wicked” which actually brought it to limelight. Not much is heard or said about Brick and Lace anymore. Even after several effort at shaking the global music scene, its struggle seem to be hitting the rocks.